As readers most of us have fictional themes or settings we especially enjoy. The art world is undoubtedly one of mine, just as visiting exhibitions and galleries is one of my favourite pastimes, both here in London and on my travels. Often I find the stories behind the works and the lives of the artists as fascinating and inspiring as the exhibits. An art fix always helps me see things differently and reinforces my belief that creating things from nothing, whether art, fiction, music or whatever, is a meaningful and worthwhile investment of time and everything else it takes. As many of you know first hand, it rarely comes easily! 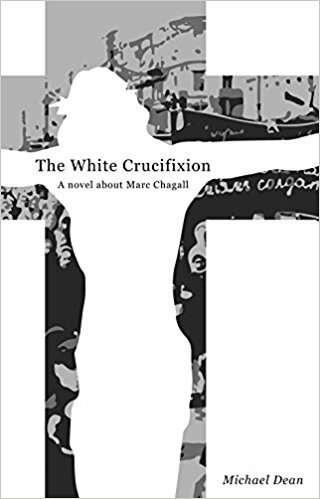 In my new novel The White Crucifixion I fictionalise the life of the painter Marc Chagall. I have fictionalised the lives of artists in two earlier novels: I, Hogarth which dramatizes William Hogarth’s life from birth to death, as The White Crucifixion does with Chagall. Thorn is a bit different, in that the novel was originally conceived to centre on the philosopher Baruch Spinoza, but his contemporary in Amsterdam, Rembrandt van Rijn, muscled his way into the story to such an extent that it is as much about him as Spinoza. My approach to writing about these three great painters was the same in each case: First research, masses of research – eighty or so books for each of them, plus some articles. I love the research for its own sake. But I do not want to risk missing an illuminating fact or remark which might transform the approach to the dramatization. Also, as I have pointed out elsewhere, ‘The research and the writing are actually one … because while you are reading you release the subconscious creative processes – in other words you don’t read, as such; you sift, shape and create’ (from How to Write a Historical Novel, by Michael Dean Publishers’ Weekly, January 11, 2013) In other words, once I start reading, I have already started writing. On a highly auspicious day, the seventh day of the seventh month, I was born dead. I was brought back to life by the midwife holding me in a tub of cold water, then lifting me out again. I went from black to blue to pink. Then a fire broke out. My painting of the scene, Birth, shows a claustrophobic single-room izba pressed down by a low crooked ceiling. By a red-canopied bed, a midwife is holding a baby. There is a proud father present, and a cow. There is a mysterious rabbinical figure at the window. The mother is naked except for a cloth round her middle and one sock. In front of her, by the bed, is a large tub of water into which they are about to dunk the baby, bringing it back to life. In I, Hogarth, especially, some of the narrative is drawn not from the painter’s life but from his paintings, without this being made overt. This approach is well-suited to Hogarth because there is narrative even in the individual paintings, but even more so in the well-known series like The Rake’s Progress and Marriage à la Mode. So throughout the novel Hogarth wanders in and out of his own paintings, without the reader necessarily being aware of that. The artist’s life and work come together, of course, in the act of creation. In Thorn, Rembrandt is shown drawing The Blind Homer – a real drawing – with a fictional audience of Spinoza and Clara Maria van den Enden, both of whom he knew in real life. Hogarth is shown drawing Sarah Malcolm in prison, the day before she is hanged for murder. This is competitive drawing – Hogarth was a very competitive man – as his father-in-law, the court painter Sir James Thornhill, is drawing Sarah too, from another angle. I take off my blue linen jacket, my blue linen trousers, my underwear and begin to paint. I always paint naked. When I work, I feel as if my father and my mother are peering over my shoulder – and behind them Jews, millions of vanished Jews of yesterday and a thousand years ago. They are all in my paintings. 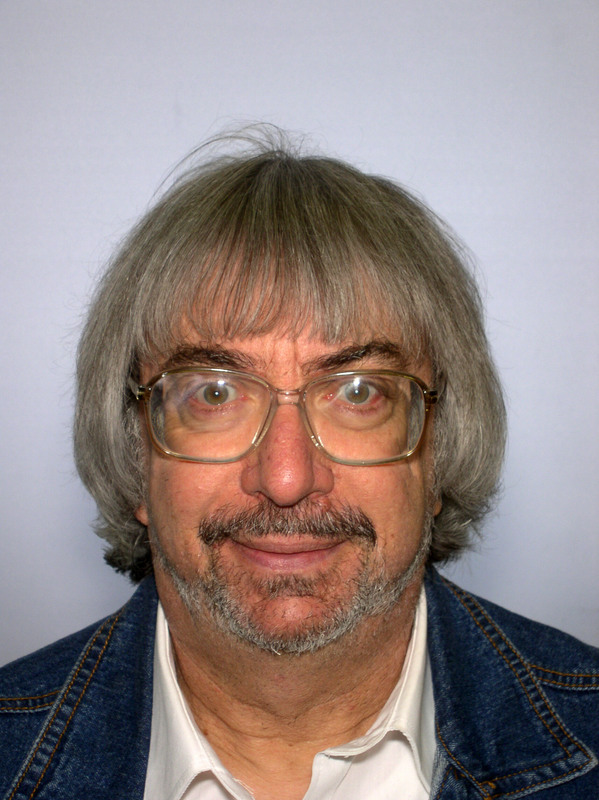 I have evolved a specific writing style to dramatize the painter’s life and work. I think of it as the equivalent in words of the painting style ‘impasto’, used extensively by Rembrandt and on occasion by Chagall and Hogarth. Impasto involves layer after layer of paint to create a vivid 3D effect. I try to use all the research and my imagination to add detail after detail of the sights, smells, sounds and feel of every scene of the painter’s life and work so that it all comes to life. Many thanks to Michael for his interesting piece about the research, intentions and techniques involved in his fiction based on the lives of famous artists. With a vibrant sense of time, culture and two very different places, this is a convincing vision of the lives of Chagall and other artists whose creative drive was fuelled by political turbulence and religious persecution, personal hardship and tragedy. It’s no surprise that I particularly loved the sections set in Paris, the more familiar location for most readers; but whilst I could happily have read a whole novel based on those periods of Chagall’s life alongside fellow Jewish artists, his home town of Vitebsk, in present day Belarus, was an atmospheric and educational discovery of a place I’d never heard of. Whilst reading this novel I was in fact conscious of the author’s decision to embed the artworks into the narrative as described in the guest post, simply because I couldn’t fail to observe now effectively this holistic approach works for readers who know little about Chagall. This novel demonstrates considerable skill in uniting ‘large canvas’ political events of the early 20th century with the intimate scale of individual experience and creative endeavour. Tiny brushstrokes resurrect the characters as real, empathetic and idiosyncratic people whose complicated lives – personal and professional – move the reader; I really felt their joy and passion, desperation and loss. Lovers of art and history will find it fascinating and any ‘creative’ will find something to relate to in this rich and colourful story. Next week, Louise Walters will become the first author to visit the Literary Sofa for a third time, taking about Writing from a Teenage Perspective in her latest novel The Road to California. It’s also the first release from her new imprint Louise Walters Books.